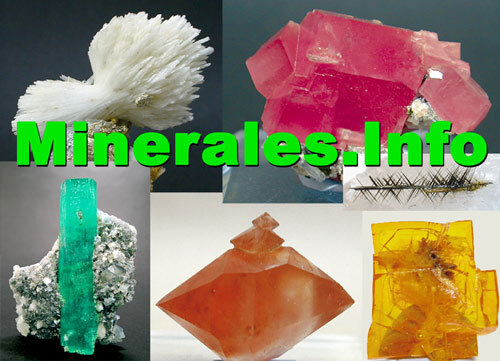 Welcome to this site for information on minerals and on the world of mineralogy. In this site you will see a selection of the main sources of useful information available on the web. There is also information on events and excursions that may be of interest to you. 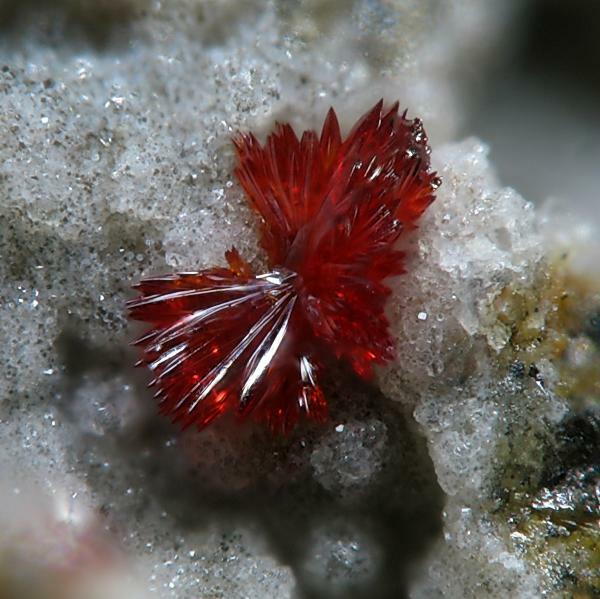 This list of links is aimed at those who wish to obtain more detailed information on minerals. We will add more links and update the ones already here as we get information on more useful links. If you have any suggestions please let us know. Some of these links in turn lead you to even more link pages, which can also be useful. 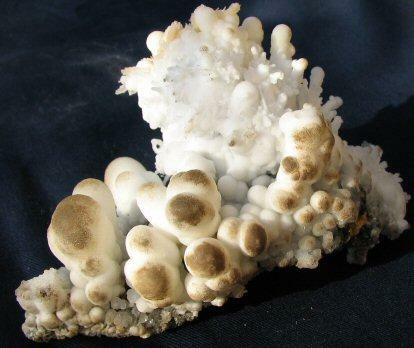 For example the Mineral collectors page has links to other useful museum sites. IMA mineral properties database, useful as a means of avoiding errors or confusion. The IMA-RRUFF Project is creating a complete set of high quality spectral data from well characterized minerals. The website will contain an integrated database of Raman spectra, X-ray diffraction and chemistry data for minerals. 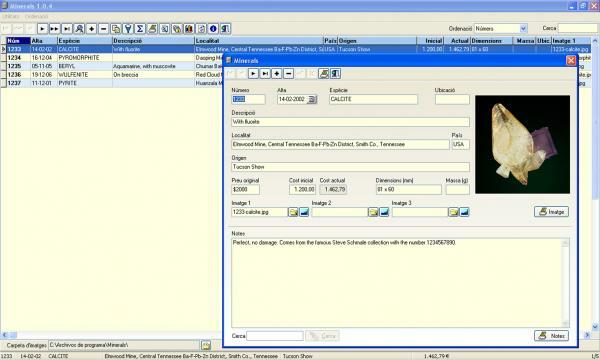 This is the most powerful source of information on minerals, localities and photos. The amount of information held in the system is massive. While it may take a visitor some time to find what they want among all this data, it is without doubt very useful. Forum for discussion and divulgation on mineralogical topics like mineralogy, mineral deposits, photography of minerals, mineral analysis, public and private collections, museums, etc…Is a meeting point where both amateurs and professionals learn, teach and share knowledge in an atmosphere of mutual respect. With several specialized sections and its own advanced software, FMF has a scientific spirit that makes it different from other regular forums. 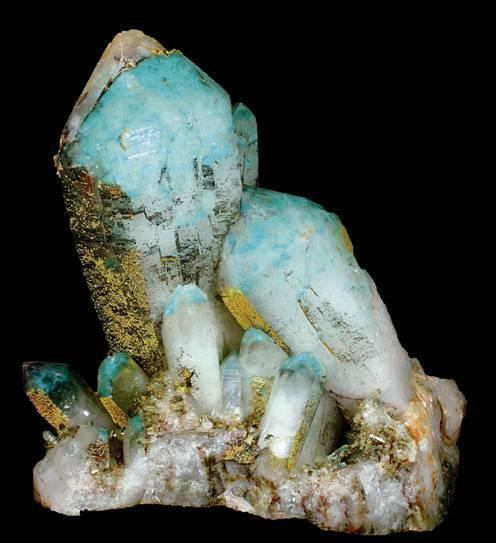 FMF Gallery is a database of some of the images of minerals published in FMF. 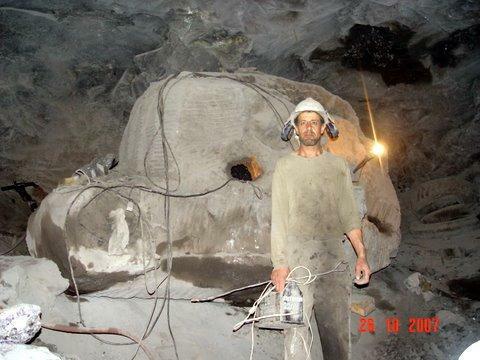 It is under continuous construction and you can find in it a long list of minerals and their geographical origin. Currently the gallery is divided into six sections: Micros and macros; Minerals of Spain, Portugal and Morocco; Collections; Mines and mining localities; Minerals from USA, UK and Germany, and finally a gallery devoted to rocks. 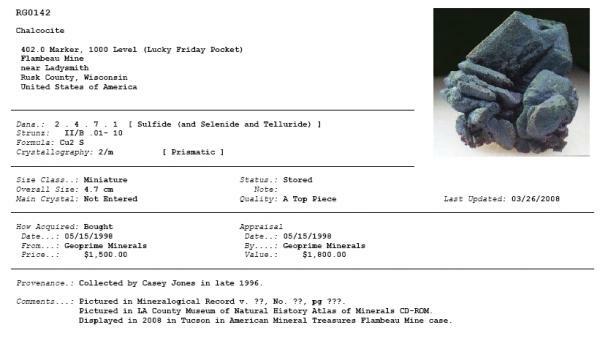 The FMF Gallery has several thousands of minerals and rocks, which can be found with a quick and convenient search system. A large compilation of mineralogical data with many photos. They have put a lot of effort into offering the maximum amount of data. 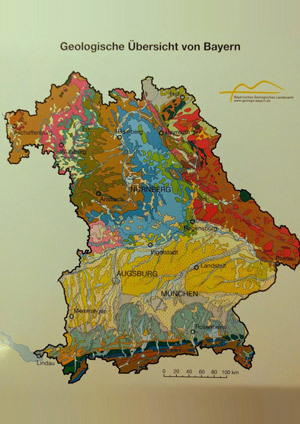 It is German, but as we all speak a common mineralogical language it is not hard to understand. 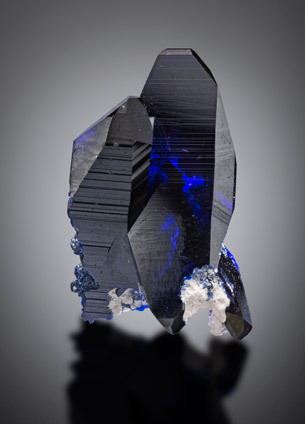 A great database of mineralogical information. A simple database which you can sort as needed and which holds lots of useful data. 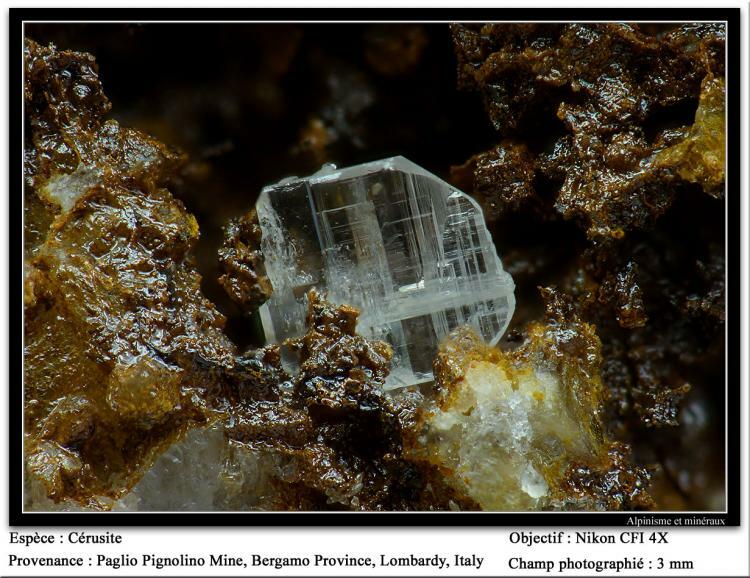 A joy of web page published by the Mineralogy Club of Antwerp, Belgium, full of topics related with the mineralogy. 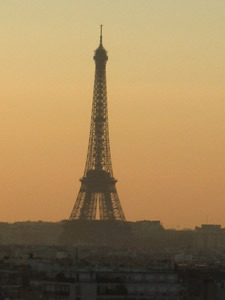 With many good sections, one of them offers an extensive list of museums from around the world. 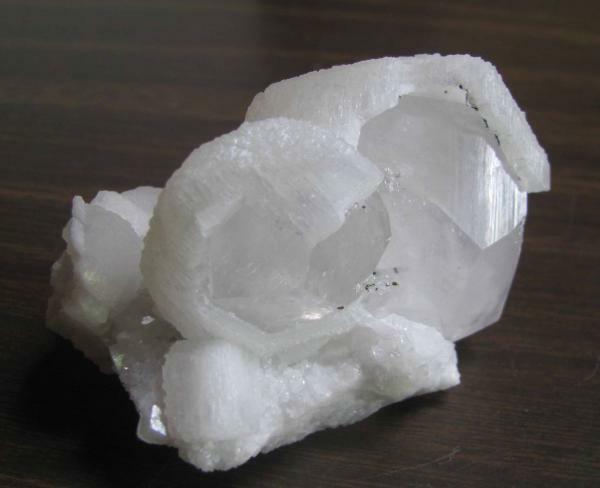 If you want to search for minerals this page, put together by people who are enthusiastic about nature and about looking for minerals, will give you lots of very useful information. Academic Web Page of Dr. John Rakovan, Miami University, Oxford, Ohio, USA. John is a professor of mineralogy and also a long time mineral collector. The best known English language magazine with information of the latest finds and the major localities. The other great US magazine, which is also great for its news, information on collections and on finds. Spectacular French magazine with information on a wide range of localities, although they are very specialized in the French ones. 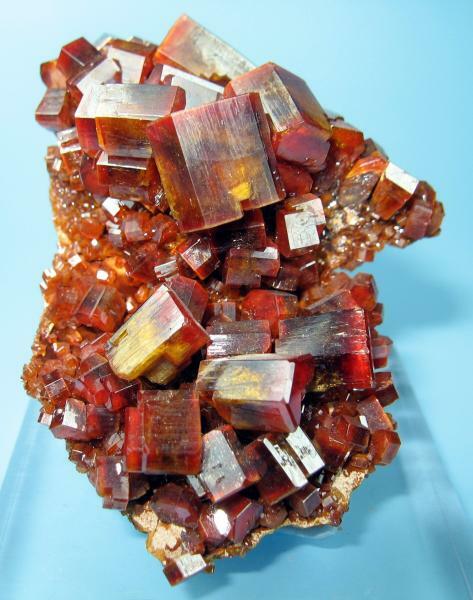 A German magazine, a great reference source for the minerals collector. An excellent German magazine with high quality photographs and a large worldwide list of mineral shows. Extraordinary quality of the images. Is offered in three languages: Catalan, Spanish and English. The quality of the photos is very high, both in their printing and in the actual photos. With articles on the mineralogy of anywhere but with special attention to the geographical regions of Catalonia and the rest of the Iberian Peninsula. The best from Italy. Excellent photos from an exceptional photographer: Roberto Appiani. The copies of Extra Lapis have become a benchmark in the mineral world, for both the quality of the writing and of the images. The Lithographie company publishes the English version of Extra Lapis, which are not only in English but which have additional texts and new photos. Highly recommended. Swiss page published in German with lots of contents and many good photos. Even if your German is non-existent the photos make a visit worth while. The best from the UK. Very exhaustive articles on the mineralogy of the British Isles. High quality magazine dedicated to the mines and minerals of Spain. Currently there is no longer published, in the past it was published in Madrid. A really impressive museum with many of the best specimens ever found. 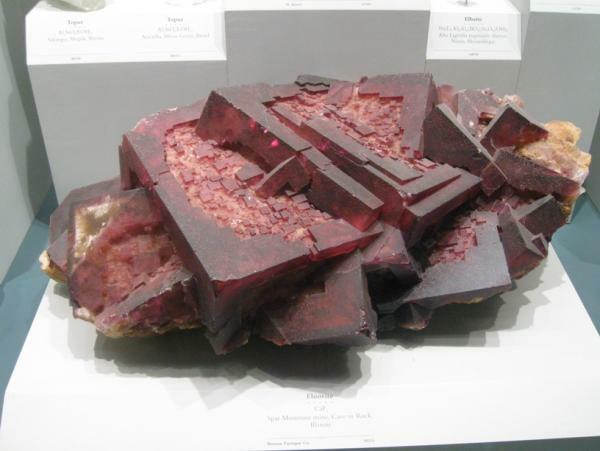 The New York State Museum in Albany, NY holds a definitive collection of NYS minerals. Sixteen cases of minerals are well displayed and rotated frequently. In the Los Angeles County Museum of Natural History. Very high quality material. To know more please use American Museum of Natural History of Los AngelesIn the Los Angeles County Museum of Natural History. Very high quality material. The Mineralogical and Geological Museum at Harvard is located on the grounds of Harvard University in Cambridge, Massachusetts and is one of three museums which collectively comprise the Harvard Museum of Natural History. Ineludible visit. An extraordinary building, ideal location, beautiful interior with luxury cabinets and all the technological advances, loaded with temporary exhibits of extraordinary specimens from the major collectors of Dallas area as well as from the Texas State. Another excellent north American museum with some superb specimens, Really esthetic. The official mineralogical museum of Michigan located in the Michigan Technology University, Houghton. Top notch of Michigan, USA, and even of the rest of the world. Classically organized systematic museum with superb regional mineralogical depth fleshed out with excellent worldwide minerals, micromounts and meteorites. This Museum is devoted to Colorado's mineral heritage and promotes its significance through spectacular minerals. The Museum is a lesson in Geology and contains a good number of fine minerals, fossil, meteorites as well as historical mining treasures. 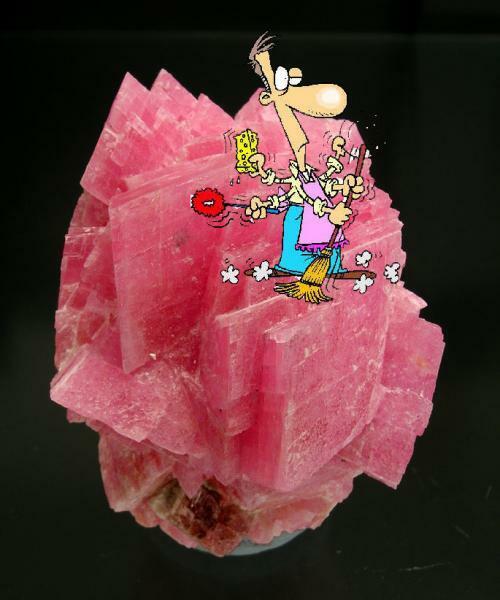 The finest collection of minerals in the Pacific Northwest; world class specimens of rhodochrosite, sperrylite, phosgenite, legrandite, Arizona minerals, northwestern U.S. minerals, and the Rudy Tschernich collection of zeolites. 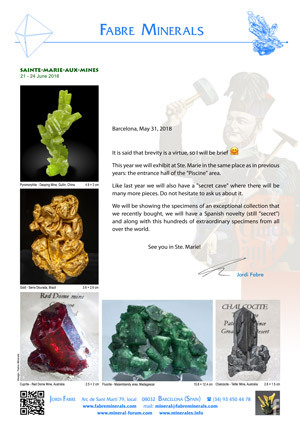 This Museum is a visual delight for the non-collector as well as the collector because the elegance of the display cases of very fine mineral and gem specimens. It features an interesting mix of old classics from the Irénée du Pont collection, given to the University of Delaware in 1964, with more contemporary specimens carefully selected by its curators over the last almost 50 years. Tellus has the finest Georgia minerals on exhibit, but this is a small part of the overall scope. There are 41 cases with more than 1200 minerals from worldwide localities. Exhibits are arranged by physical properties including a fluorescent exhibit area, systematic mineralogy, Georgia specific minerals, US and worldwide locations, and gold and gems. The best natural history museum in Connecticut. 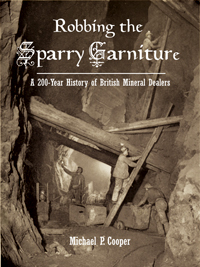 Contains a historically important collection of over 40,000 mineral specimens. In Álava, in the north of Spain. A well maintained collection of Spanish minerals, with some exceptional specimens. Located in Barcelona city, this Museum opened in 2011 and it incorporates modern museum concepts. Within the museum are housed the mineralogy and petrology collections that formerly were in the Museo de Geología (Museo Martorell), giving it a large collection of both documentation and minerals. The museum has a web page in Catalan, Spanish and English. The museum of the Madrid school of mines. A classic building with excellent historic specimens. 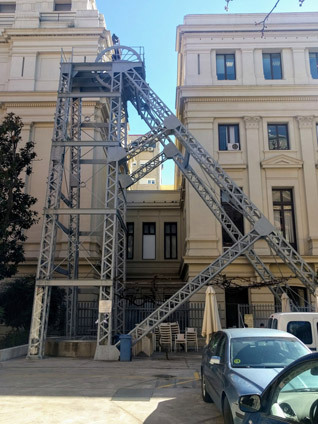 The Geo-mining Museum is located in a very beautiful, classic building in Madrid with a skylight that is among the most beautiful in the world. A visit is worth it. Small local museum, created through the donation of a private collection. The "Valentí Masachs" Geology Museum at the Polytechnic University of Catalonia is located in the Engineering School of Manresa (Barcelona). 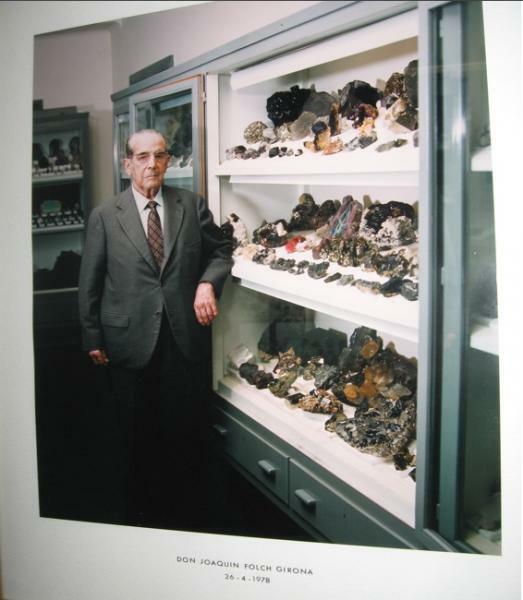 The Museum was created in 1980, based on the collection of minerals made during student practicals, which was soon enriched by personal contributions from Dr. Valentí Masachs, first director of the Center, Dr. Joaquim Sanz and Dr. Josep Mª Mata-Perelló, as well as with the donations of other illustrious collectors. 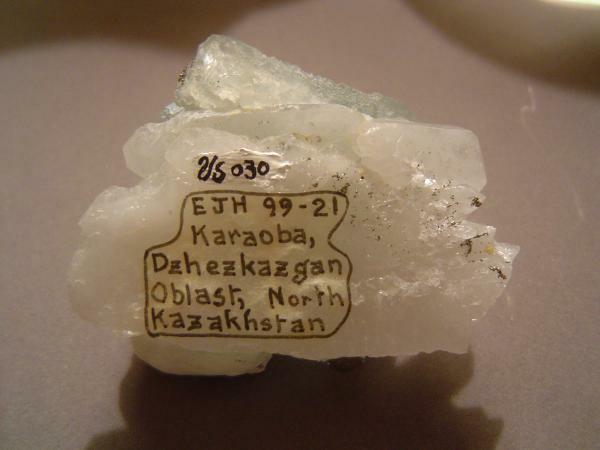 The Museum collection is currently made up of about 5,000 minerals. Highlights among its reserves are the specimens from classic Catalan locations as well as from the rest of Spain. The largest collection of minerals in France, so you can spend hours visiting them. French National Natural History Museum. Located in a large park. Great classic specimens and lots of high quality material. 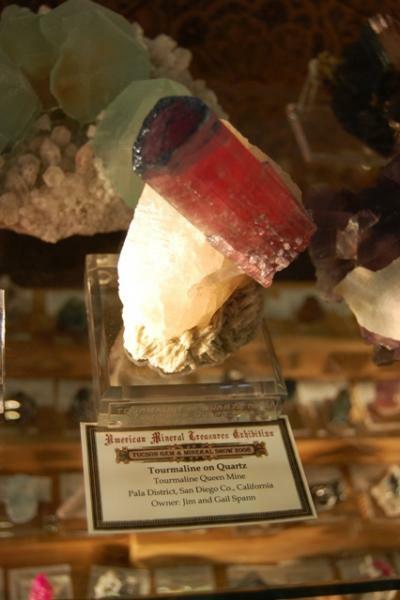 Easy to visit, with an esthetic display of beautiful minerals. Located in the alpine town of Chamonix Mont-Blanc. An excellent collection of alpine minerals (red-pink fluorites included) and selected specimens from French mines. Three major collections in a single city: Freiberg! Krüger Haus Museum, Bergakademie Freiberg (Freiberg Mining Academy) and especially Terra Mineralia, which is one of the world's best mineralogical museums given the donation of Dr. Erika Pohl-Ströher collection. Located in the middle of Germany, this Museum shows one of Germany's best public mineral collections with 2.300 pieces on display and over 100.000 samples stored. Many exquisite specimens, both German and worldwide classics can be seen in a beautiful building from the early 16th century. Munich. Museum Reich der Kristalle. If ever you go to Berlin visit the Museum Fur Naturkunde. The mineral hall is excellent! Images of common mineral species. University of Bremen. 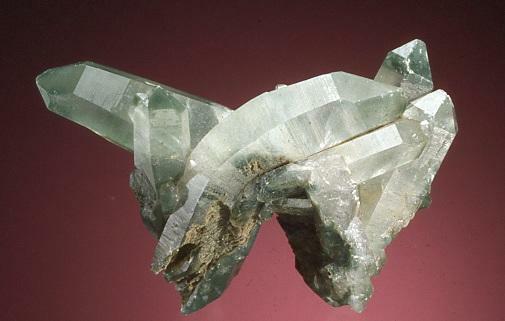 Quartz, Fluorite and Alpine minerals from Switzerland at their best. It is located on the main road Seedorf-Bauen. 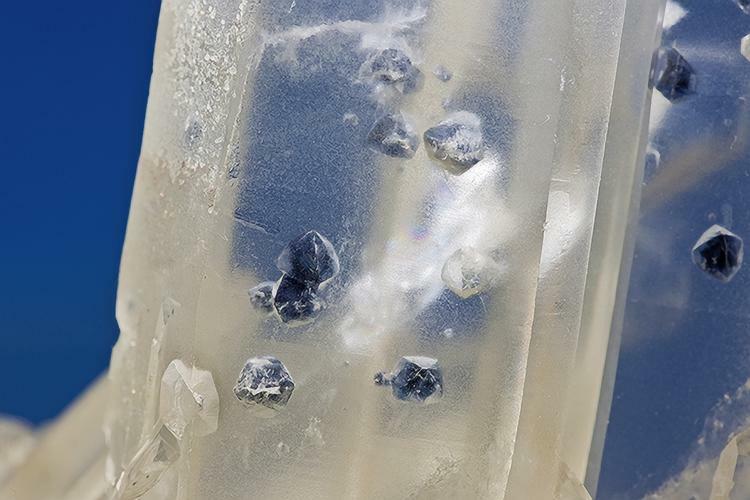 Several and excellent alpine minerals from Swiss strahlers recent finds. Small but very interesting mineral museum located in the Binn Valley (Valais, Switzerland). Binntal alpine minerals and a showroom dedicated to Lengenbach quarry. 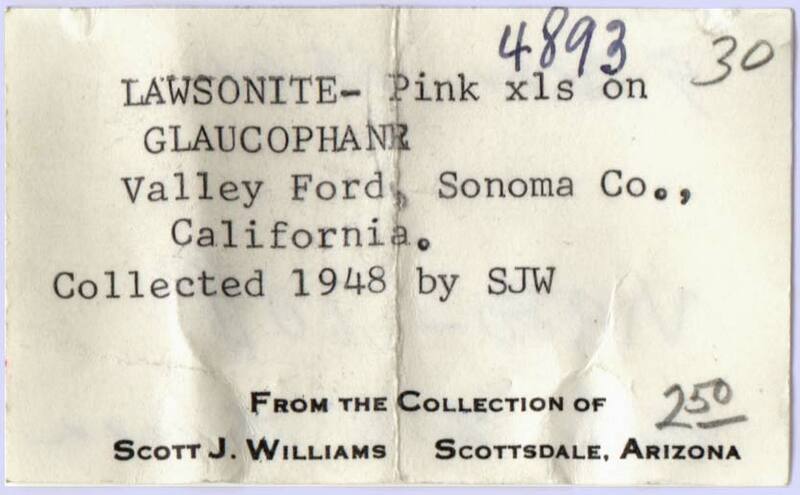 Very popular in the collectors interested for rare sulfides. In London, England. For many years the best Natural history museum in Europe. With vast quantities of minerals, exposed and unexposed. This national museum in Edinburgh is a great place to spend a few hours. The building and displays are neat and varied. The mineral section is small but worth a visit– and do drop into the space section as there are a few more minerals there. This Museum, located at Wanlockhead, is small but has a display of local minerals and the chance to visit a mine and very old library. The region is well worth a visit. This Museum is located in Glasgow and has a good but small display of minerals and fossils, with a good number of Scottish minerals. The reference museum for specimens from eastern Europe, but it also has exceptional worldwide specimens. In a majestic building, collects all the historical tradition of the Austro-Hungarian Monarchy. Founded in 1811 by Archduke Johann, it is full of old classics, highlighting the Styria minerals. Friedrich Mohs, who brought the hardness scale to us, worked here! The Copenhagen museum is definitely worth visiting. An excellent range of old classics in an "olde-worlde" atmosphere. The Kongsberg and Greenland Suites are really remarkable. The Natural History Museum of the city of Milan, Italy. The mineralogy section has notable Italian and pegmatite specimens, enhanced by excellent material from Madagascar. Nice Museum of Mineralogy at the University of Florence, Italy. It contains 50.000 specimens, most of them historical, but also recent acquisitions. Teylers is the oldest museum in the Netherlands, and one of the first ever perpetually endowed museums. With an enjoyable mineral collection, Teylers Museum really deserves the trip if you are in Amsterdam. The Norwegian Mining Museum is located in Kongsberg city centre and offers a good vision of this historic silver mining area. It offers also the possibility of guided visits to the old mines. One of the best, if not the best, of the world's open private Museums, not just for the superb quality of the specimens but also for its diversity, including "Icons" as well as rare and/or extremely rare minerals. If you plan to visit Lebanon or some of the neighboring countries don't hesitate do a stop in Beirut and visit the MIM Museum. It deserves the effort. 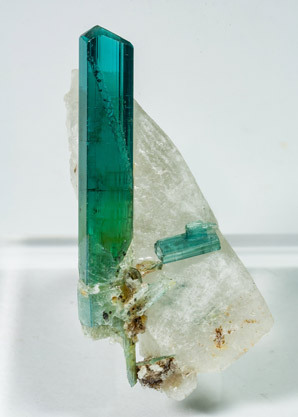 MTI (Mineralogía Topográfica Ibérica) is a Blog that is being used as a test base for creating a common source of mineralogical information, with special emphasis on mineral localities. It is very up to date and it includes a very wide range of information, which ranges from magazines, shows and exhibitions through to new finds or detailed descriptions of classic and modern localities. Highly recommended. Grup Mineralògic Català. 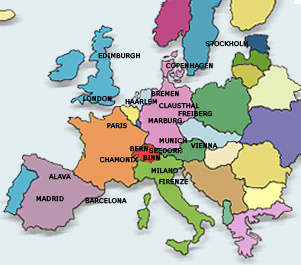 This is the mineralogical group from Catalonia, the region that includes Barcelona. 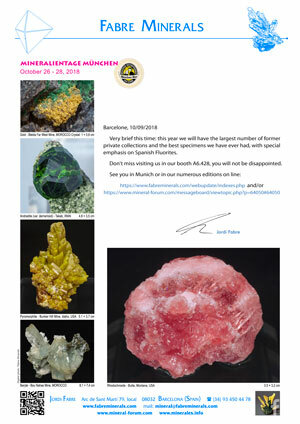 They are very active and helpful and they publish the magazines Mineralogistes de Catalunya and Paragénesis (see the "Magazines" section) and also the column Infominer on line. 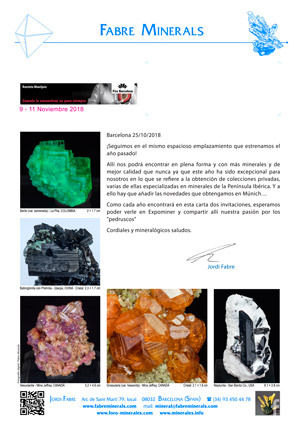 Grupo Mineralogista de Madrid The Madrid Mineralogical Group is an association of enthusiasts for mineralogy and other related sciences based in Madrid. Publishers of the, now defunct, "Bocamina" magazine. 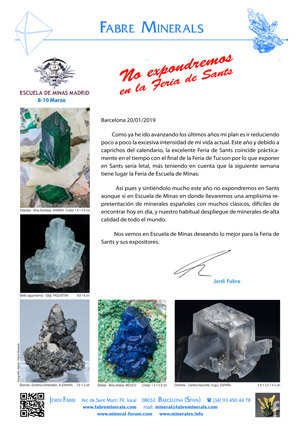 Societat Valenciana de Mineralogia Association of fans of mineralogy that centers their activities in the Province of Valencia. They collaborate in the publication of Paleomina, an excellent magazine about minerals and fossils. 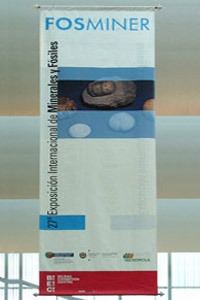 Grupo Mineralógico de Alicante Association of fans of mineralogy and paleontology, based in the Province of Alicante. 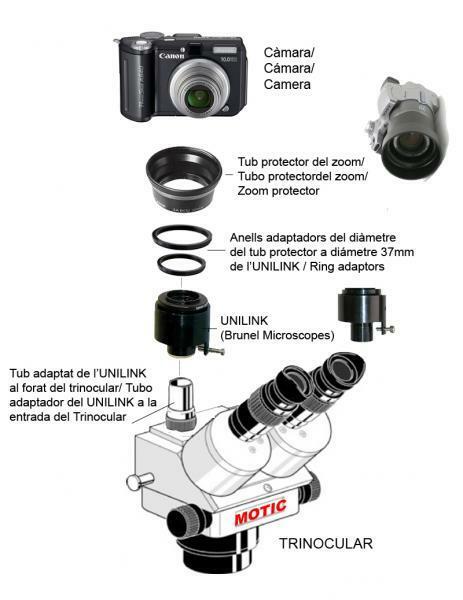 Very active in social networks, they do many field trips that they document with high quality photographs. Asociación Mineralógica Paleontológica San Vicente del Raspeig Association of fans of mineralogy and paleontology, based in Sant Vicent del Raspeig, Alicante Province. They edit Paleomina, an excellent magazine about minerals and fossils. Asociación Cultural Mineralógica de la Sierra de Cartagena-La Unión An association of fans of mineralogy and paleontology that focuses its activity, though not exclusively, on the historic Sierra Minera de Cartagena and La Unión, in Murcia. Asociación Mineralógica Aragonesa Association of fans of mineralogy founded in 1993, which focuses its activities in the Aragon Community. Excellent documentation resources for the delight of all bibliophiles. The school of mines in Madrid. Many things to do here, including visit a reproduction of a mine. Spanish mining and geological institute. Everything you need on the geology and mines of Spain. Association formed to act as the spearhead of the mineralogists and institutions in Spain. AGAB Belgian association of geologists, very enthusiastic and with lots of information about European Shows. 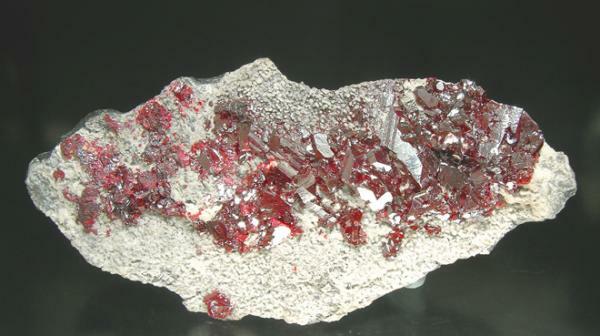 Specialized in the mineralogy of the DR Congo. Géopolis A group of French people that are all interested in Earth Sciences. It is made up of collectors, professionals, geologists, students, museum curators, etc. 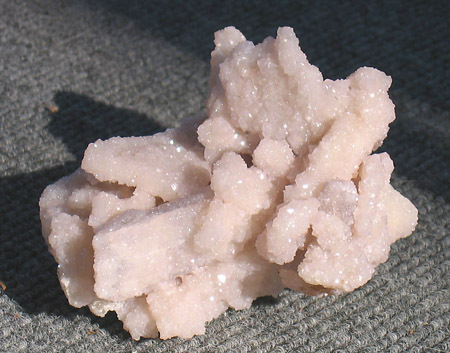 A French reference site for people interested in minerals. Microminéralogie French Association of Micromineralogy. 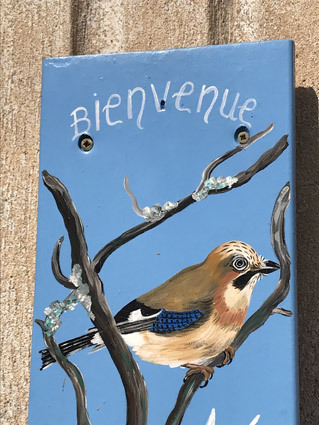 If you like micromounts, which are small samples of great perfection and beauty, this page in French language is a great source of information. Pegmatite Interest Group An interactive webpage, hosted by the Mineralogical Society of America, that is dedicated to the pegmatites. 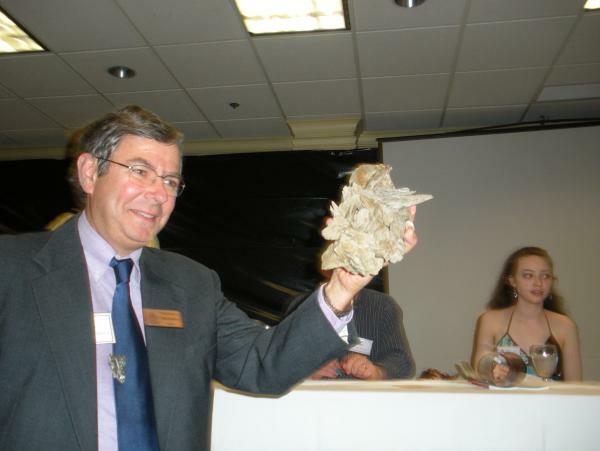 Serves as a bridge between academic professionals and amateur scientists, collectors, and other pegmatite enthusiasts. During the first two weeks of each year, in the middle of the Arizona desert you can visit the annual Tucson Gem & Mineral Showcase, the biggest group of Shows in the US and in the world. The Detroit, Michigan show, which was in the past one of the most important shows in the US. List and links of most of the main US shows. Held in the halls of the prestigious School of Mines, Madrid. Along with Sant Celoni it has the best atmosphere of all the Spanish shows. In both cases people go to talk about minerals and to be there "for the minerals". The Barcelona show. A "must visit" for all the Catalan mineral lovers, and also for many of those from the rest of Spain. It is held in the Feria de Muestras, Barcelona, a good location. Don't miss it. The most revered of all the Spanish shows, friendly and fun. A visit is obligatory for all the mineral collectors of Northern Spain. Mineral and precious stones show held in Teofilo Otoni, Minas Gerais, Brazil. 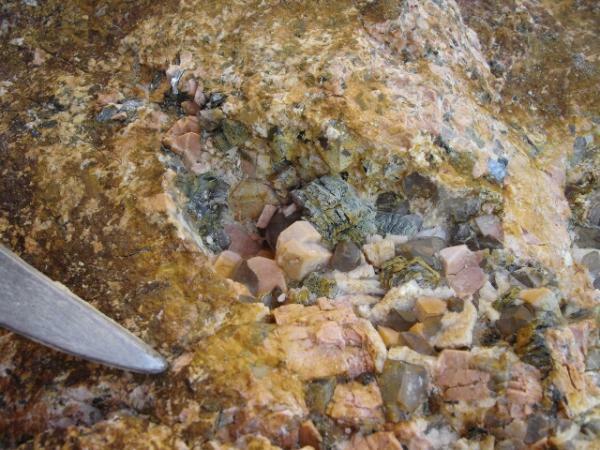 A great annual opportunity to see all the mineralogical delights of Brazil at the same time. 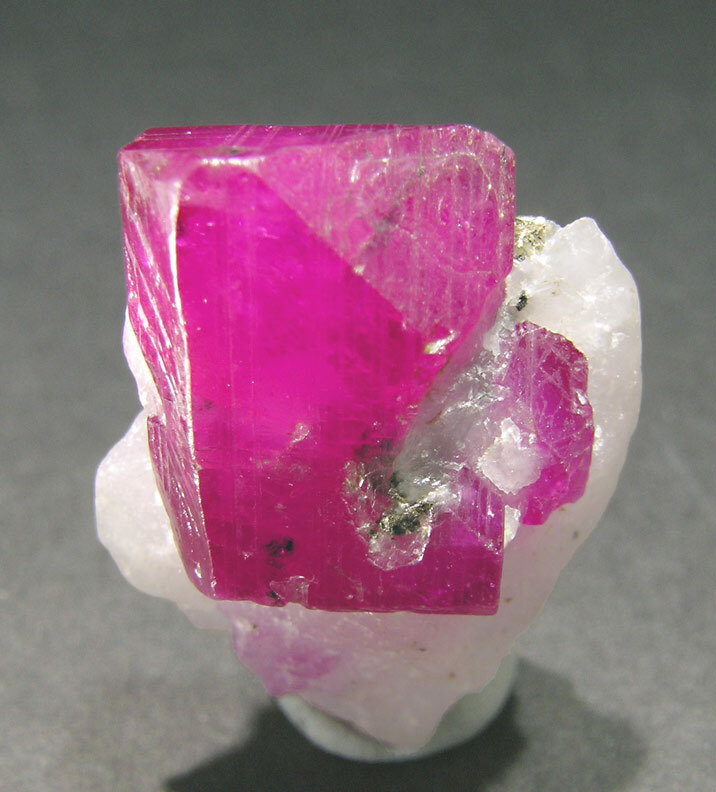 Some questions and answers about mineral specimens with inclusions, illustrated with excellent samples. Deep and fascinating discussion about cyclic twins with lots of less known specimens and many illustrations and drawings. Comments about Endomorphism and Pseudomorphism. Is pseudomorph often an incorrect description of an endormorph? The intellectual curiosity of mineral collectors. Intense and heavy discussion about its importance. One of the most difficult tasks many collectors face is how to easily get good pictures of their specimens. Here is some good advice from several experts. Discussions about what should be the content of a correct mineral label and how to properly design it. Gathering former owners' labels as a way to keep for the future an important part of the history of every specimen in your collection. Questioning the rightness of the expression "self collected", often used by mineral collectors, but that seems not to be appropriate. 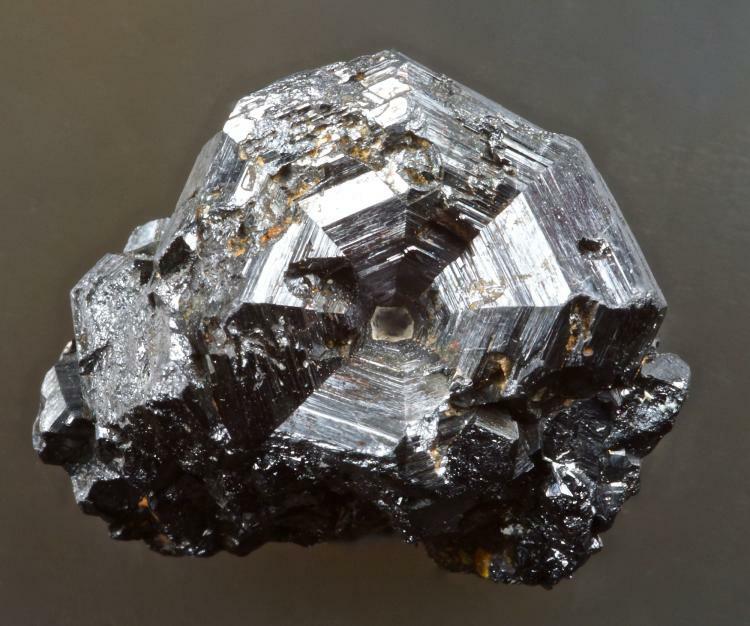 What defines a mineral's "quality"? A great discussion about what is a rather subjective topic: what a mineral's quality actually is. What should we think about before taking the decision of purchase (a specimen) to keep us from making a mistake? How the new mineral collector generations can influence the evolution of the hobby. A casual find of Amethystine Quartz in a railroad cut in Girona, Spain. The joy of the discovery and the field work to dig nice minerals. One of the world's biggest geodes. All of the extraction process, from the discovery to the actual removal. Christian Rewitzer, one of the best microphotographers, explains his tricks to achieve superb photos as well as an array of his "art works"
How collectors number their specimens? Is there a preferred type of label to affix? Is it better not to try to attach anything directly to the mineral...? A brief guide about the sensibility to light of some minerals as well as the toxicity of some others. A lot of images and posts of one of the most popular collections: beautiful collection of Gail Spann. The excellent single crystal collection assembled during the last fifteen years (starting in 1994) by John S. White is being posted here for everybody to enjoy. 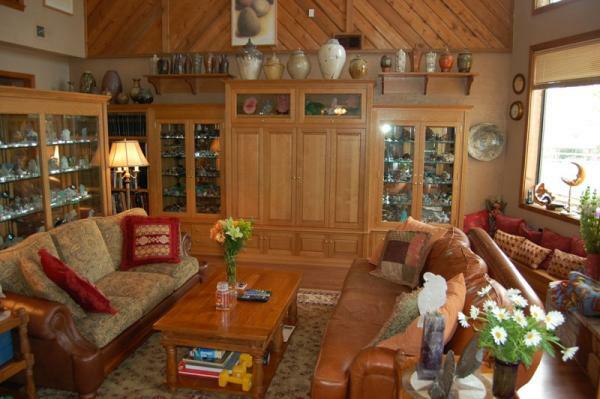 Nice and highly diversified collection, that clearly reveals the owner's love of minerals and mineralogy. Amazing trip through the world of micromount photography. A suggestive exhibition of colors and shapes. A trip to the famous Smithsonian Museum through the eyes of someone visiting it for first time, plus images of other people to complete the overview. A superb chronicle by Joan Massagué with great details about his visit to what might have been the world's best private mineral collection until the eighties, built by the industrialist Joaquim Folch i Girona (died in 1984), and located at the Mediterranean city of Barcelona. Excellent photos of the majority of the specimens in the great collection of Adalberto Giazotto. Informative Guide on a visit to this small collection and more general tourist guide to the city of Florence. Discussion about the "Palladium-rich Gold" from Venezuela. It seems that not only they contain no Palladium, but also it appears that they are electrolitically grown. Some detailed history involving Sr. Folch Girona and his connection with Almadén Cinnabar. Auctions, prices and their influence on the mineral market. Should we purchase minerals because we love them or because we want to keep our assets alive? Or a little of both? Held in the halls of the prestigious Escuela de Minas, Madrid. Along with Mineralexpo it has the best atmosphere of all the Spanish shows. In both cases people go to talk about minerals and to be there "for the minerals". Towards the end of June a very special place in France, Val d'Argent, has a show that is different from all the regular ones. Together collectors, visitors, and dealers share the marvellous countryside, the pleasant food, and, of course, the minerals. So if above all else you want to enjoy yourself during a show this one is not to be missed. A powerful show, with an enormous range of minerals and extraordinary displays. 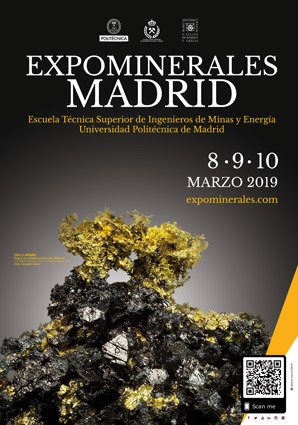 Spain's most international show, and the one with the best mineralogical quality. Held in Hall 1 in the grounds of the Fira de Barcelona-Montjuïc, a very prestigious locality within a great architectural area. Every year from the last week of January to the middle of February and at the Sonora desert, in the city of Tucson, you can visit "Tucson Show", the biggest group of Shows of Minerals in the US and in the world. 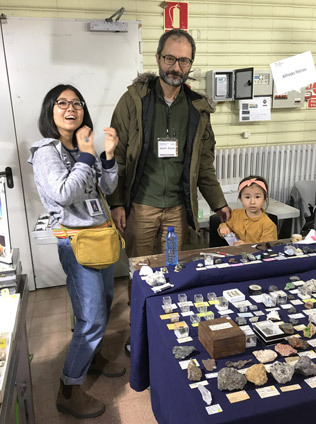 Mineralexpo Barcelona-Sants is an annual mineral show that is held during the first weekend of March in the Cocheras de Sants, Barcelona (Calle de Sants, 79). This show, in some senses, takes the place of the Sant Celoni Show as the Sant Celoni show was held during the same weekend, although it is now held during the first Sunday of May. 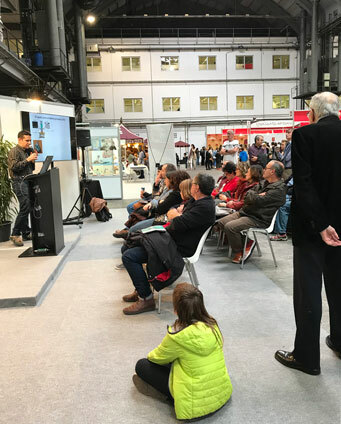 The people that organize the show are the Grupo Mineralógico Catalán, a group whose objective is to promote mineralogy. 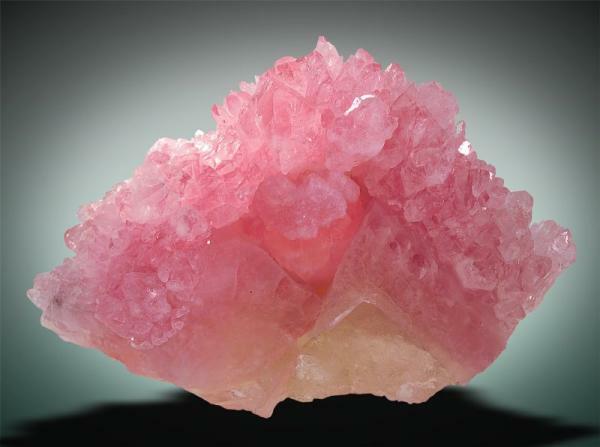 So that is why the show has a limited number of dealers, with the aim of focusing on minerals for collectors. If you want to see some information about shows we used to attend, but actually no longer visit, then use this link or click on the photo. latest finds as well as a wide range of specimens.